Learning how to delegate has surprisingly been one of greatest joys of my life. Considering I am an independent only child and a woman who tends to lean towards being somewhat of a control freak, this is a BIG STEP for me! But what’s even more of a big step is that I have chosen to delegate one of my favorite hobbies, SHOPPING, to Trunk Club! About eighteen months ago, I was introduced to Trunk Club, a Nordstrom company that specializes in personal styling & helping you build your best wardrobe, and I have NEVER LOOKED BACK! Trunk Club helps customers find clothes they love through their top-quality Nordstrom assortment at a range of price points…all so that they can feel confident at any given occasion! Variety of Style. From the first moment I met my Trunk Club stylist, Megan, we just clicked. Not only did she understand my personal style, but she picked up on patterns & prints & colors I was drawn to, silhouettes that flattered my body shape, and the certain items that could help make my wardrobe more versatile. She also keeps notes about what brands fit me best, plus what sizes I wear across the board. Megan also prides herself in pushing me (YES, EVEN ME!) out of my comfort zone with pieces that I wouldn’t necessarily choose for myself! And when I visit the Trunk Club Clubhouse here in Dallas, it’s always a surprise to see what Megan has waiting for me to try on! Continued Style Advice & Top Notch Customer Service. Megan isn’t just a Trunk Club stylist, she’s also become my shopping buddy! Because she has taken the time to get to know me and my personal style, it’s allowed us to develop a relationship where I can trust her opinion wholeheartedly. I know that Megan isn’t going to push me into purchasing things that I don’t need or won’t wear. 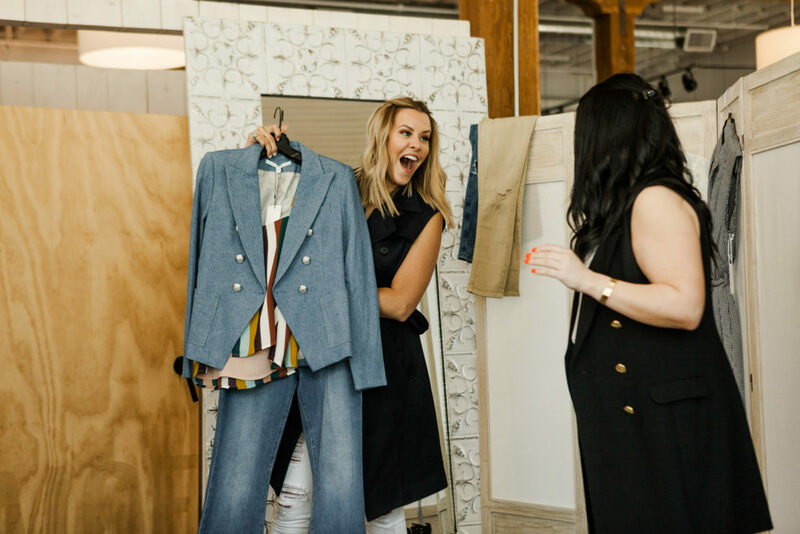 For example, this last time I saw Megan at the Trunk Club Clubhouse, we talked about the next 4-6 months and how she can help: We made a plan for how to navigate the Nordstrom Anniversary Sale (yep, your Trunk Club stylist can shop that for you, too! ), what pieces I might want to have my eye on for fall, and how we can build off the new items I bought and re-wear them once the weather cools down. And of course, when the holidays roll around, Megan will be front and center helping me find those super-special items to wear to all the parties….and I might even delegate some Christmas shopping to her, as well! Why not, right?! 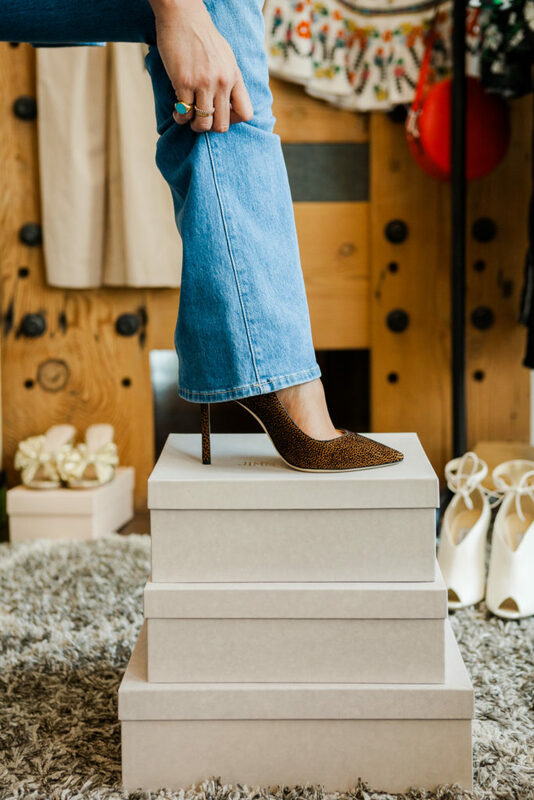 To find out how you can get your very own “Megan” & to start using Trunk Club to make your shopping easier & your wardrobe better, click HERE! *Thank you to Trunk Club for keeping my wardrobe stylish, working with me as an ambassador for your brand, & for sponsoring this post! Same! 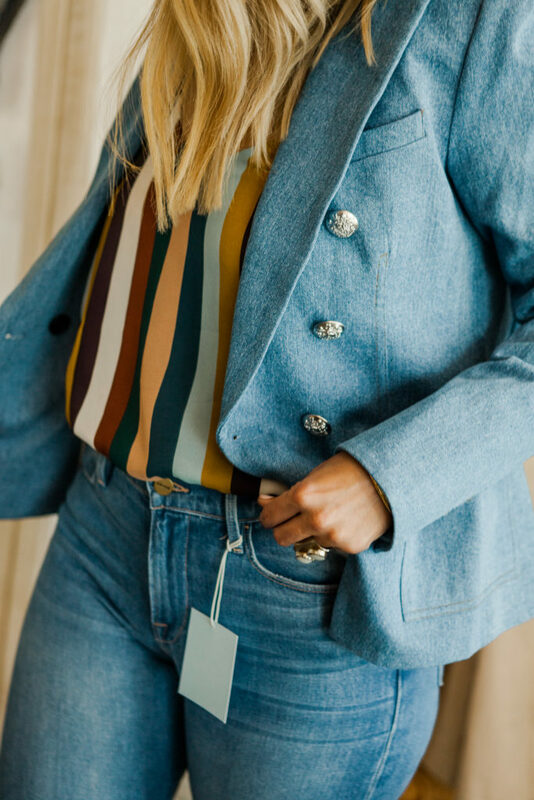 What brand/style are the jeans and that blazer and top???? ?